Cut of beef set. 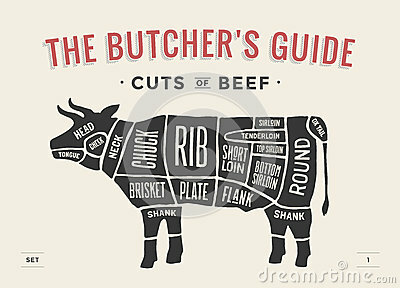 Poster Butcher diagram and scheme - Cow. Vintage typographic hand-drawn. Vector illustration.